Can be hard to get. 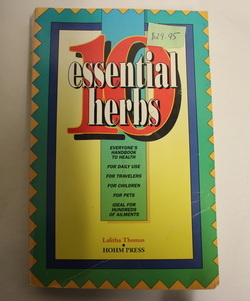 This books is a must for every family and especially useful for being self sufficient. I have been using and applying the helpful information in this book for over 25 years, and can honestly say they really do work! I would never want to be without a copy. This is an investment you will never regret. If you do, I will buy it back! Currently only one in stock. Onion as a heart drug? Broccoli to prevent cancer? your chances of colon cancer by sixty-six percent; honey helps heal wounds and is also an effective cure for diarrhoea. About the Author: Jean Carper is a well-known authority on health and nutrition. She is a former senior medical correspondent for CNN in Washington and a former radio and TV on-air reporter. She has written fifteen books, including THE FOOD PHARMACY, FOOD - YOUR MIRACLE MEDICINE and STOP AGEING NOW! (also available below.) OUTSTANDING AUTHOR! About the Book Written by the world's foremost authority, this is the ultimate compendium of natural remedies--from anise for asthma to violet for varicose veins, and everything in between. From Acne to Wrinkles and everything in between. 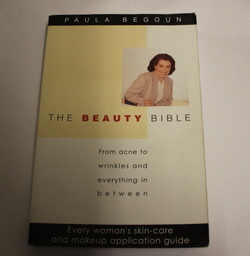 Every Womans skin care and make up application guide. In Stop Aging Now!, Jean Carper -- winner of the 1995 Excellence in Journalism Award from the American Aging Association (the nation's leading group of scientists investigating the biomedical aspects of aging), nationally syndicated columnist and leading authority on health and nutrition -- documents how antioxidant vitamins, minerals, herbs and food chemicals are the magic youth potions humans have been seeking for centuries.Based on exciting new scientific findings from leading institutions, Stop Aging Now! reveals the stunning truth: Much of what we call aging is not inevitable, but is needless and can be prevented and reversed to a startling degree by supplements and foods. Indeed, aging is often due to unsuspected deficiencies that can be readily corrected, and even people in their sixties, seventies and eighties can turn back the clock and improve their health.